Throughout the last three decades, the city of Dubai has not been known for its emphasis on sustainability as guiding principles for its development. Not only did it adopt an unnatural rate of growth by middle eastern and global standards, it has also long disregarded the environmental and social consequences of its rapid urbanization. Dubai’s growth relied on -and was economically fueled by- a development model which imported inappropriate and inefficient building forms and planted them in its extreme climate. The result was a 1,500 square miles city (3,885 square kilometers) with isolated island buildings that are not only divorced from their environments, but which also require a great amount of fossil fuel energy to remain habitable. The city of Dubai also has one of the highest carbon footprints per capita in the world, and even though this footprint is partially a result of energy intensive water desalination processes on which the city relies for its potable water, Dubai’s carbon footprint remains higher than that of other gulf cities including Saudi cities which also rely greatly on desalination. In many ways, it is fair to argue that the Dubai’s model of development has been, in essence, the antithesis of sustainable development over the last three decades. In other words, Dubai has come to represent the climax of an obsolete development model in which humans attempted to subjugate their environment rather than coexist with it. In contrast to this un-sustainable development pattern, Dubai’s neighboring city of Abu Dhabi has long adopted a measured and less extravagant development model. Over the same three decades, Abu Dhabi’s development model was generally characterized with a more sustainable pace of development. 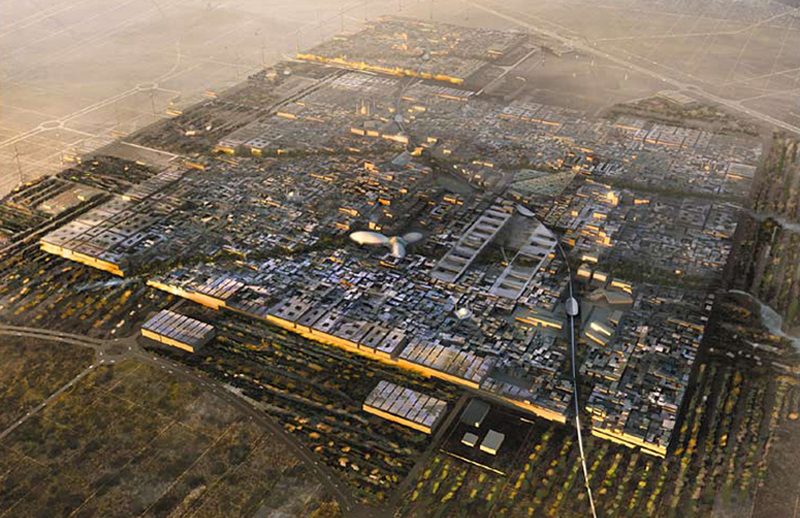 In the last few years, Abu Dhabi has been attempting to champion sustainable development in the Middle East by establishing a sustainability oriented framework for its development over the next 20 years, and by establishing the Masdar initiative which includes the world’s most progressive sustainable city project at its outskirts with ambitious zero-energy and zero-waste targets. Energy use in buildings accounts globally for nearly 40% of global energy consumption and 36% of total energy-related carbon dioxide emissions. These percentages are almost equally split in two halves between the industrialized countries and the rest of the world (Price et al., 2005).